With our new banking system going live soon here’s a reminder of the different ways you can bank with us at NZCU Employees. We want our members to be able to access their funds and accounts in whatever way is most convenient for them whether it’s via the internet or in person- have a look to see what way is best for you. Also keep in mind to to push CHEQUE instead of SAVINGS when using the ATM and EFTPOS and Cash Account will be called Everyday Account. While you won’t notice too much change in its look, the new system will make your online banking experience faster and more reliable. Do your banking from wherever you are with our ACCESSWEB Internet Banking. It’s fast, it’s convenient and it’s secure. Access and manage secure account information via your phone from anywhere in the world with ACCESSPHONE banking. Manage your money on the go with ACCESSMOBILE using your smartphone or tablet. 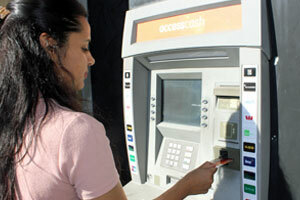 Access your funds instantly through the ACCESSCASH ATM network. It’s instant, it’s easy and it’s secure. Experience our personal, friendly service when you visit us in-branch at NZCU Employees Penrose. *Not all accounts are available at all NZCUs. Please enquire at your local NZCU for availability of accounts.